You can never have too many sets of task cards! 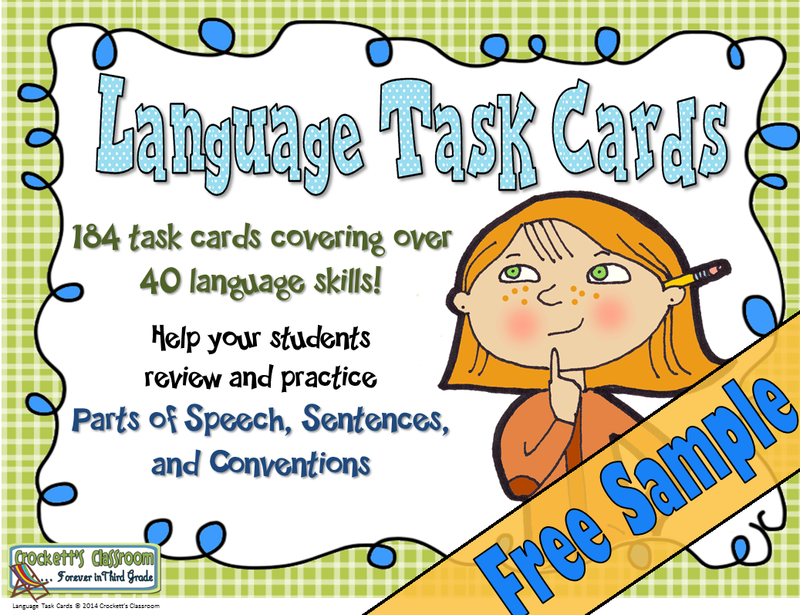 These language task cards are a must for your collection. There are over 180 cards covering over 40 language skills! That's plenty of cards to give your students practice with essential skills. Visit my blog, Crockett's Classroom, to read more about this great set of task cards as well as download a free sample.